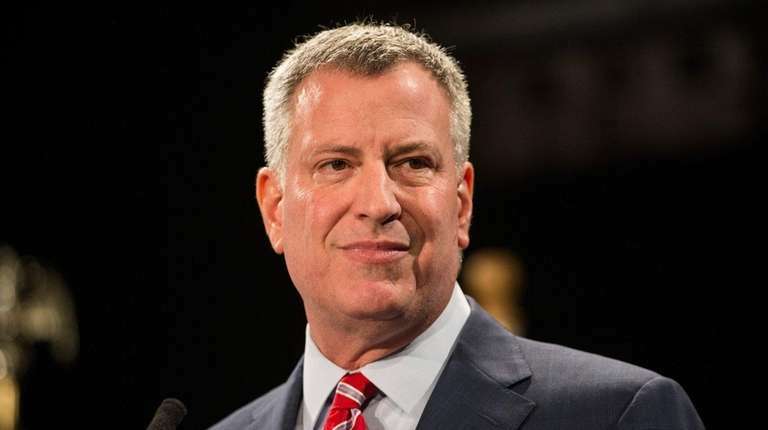 The state’s open-government watchdog on Thursday criticized New York City Mayor Bill de Blasio for refusing to release correspondence with five close friends who serve as informal advisers on municipal business. De Blasio’s lawyer called them “agents of the city” whose emails are exempt from disclosure. Freeman said the five men are private individuals with no job at City Hall, so correspondence with them is public. According to a list released Thursday by the administration, the advisers are: Patrick Gaspard, the Obama administration’s ambassador to South Africa and a close de Blasio friend; Jonathan Rosen, a political consultant whose firm, BerlinRosen, has been subpoenaed in a federal fundraising probe; John Del Cecato, creator of an ad featuring de Blasio’s son, Dante, that is credited with helping de Blasio clinch the mayoralty; Bill Hyers, de Blasio’s 2013 campaign manager; and Nicholas Baldick, a longtime political consultant. A few of the men or their firms were paid by de Blasio’s now-defunct nonprofit to push the mayor’s agenda or have private clients with business before the city. None returned calls seeking comment. Rosen’s spokesman Dan Levitan said Rosen had no comment. The administration’s position is that state law governing public requests for information doesn’t apply because the “agents” are acting in an advisory capacity, the mayor’s top lawyer, Maya Wiley, said Wednesday at a news conference at City Hall. Wiley said the administration releases emails with the agents when the correspondence concerns their private clients.